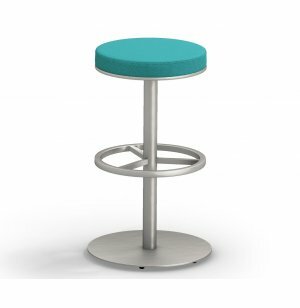 These comfy school and office stools have a professional style, which will fit into open-plan work areas, media centers, and collaborative learning spaces. 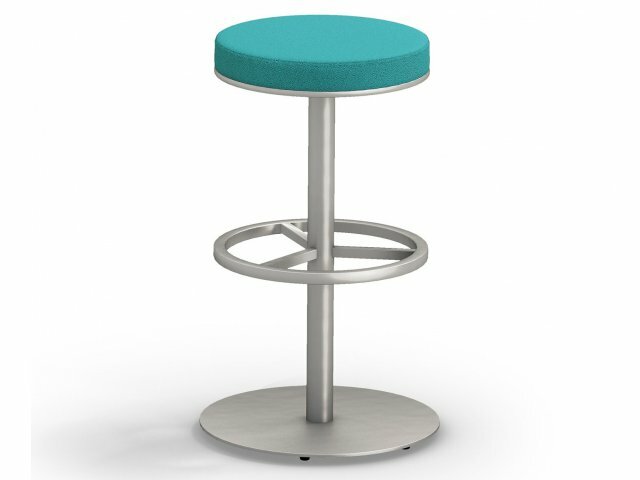 The sleek brushed aluminum base will complement any one of the numerous upholstery choices. The padded seat keeps you comfortable, whether you are just stopping to write a quick email, or you plan on sticking around for a team meeting. Sleek Design: Perfect for touchdown areas and informal meetings, as well as media centers and shared work spaces. Attractive Options: Available in an array of attractive upholstery. Sleek Finish: Brushed aluminum powder coat finish has a urethane topcoat. Comfortable Sitting: Built-in 16" diameter foot ring to support your feet. Sturdy Build: Stands on a heavy-duty 18" diameter disc base with 6 adjustable floor glides.